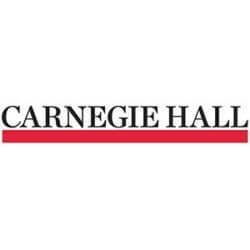 Carnegie Hall seeks a Production Manager. Hall Operations manages over 700 events across 3 performance venues and ancillary spaces through the concert season. • Field inquiries from Booking Office to evaluate the technical elements associated with proposed events. Prepare and distribute labor estimates in a unified format. In addition, evaluate recording requests as it relates to the live event. • Organize all technical requirements of assigned events, including sound specifications, lighting and video projection needs, day of events schedules, artists’ stage requirements, and seat kills, etc. • Attend weekly production meetings with artistic management, house management and stage crew to address scheduling, staffing, and equipment concerns. • Produce production schedules, tech sheets, input lists and stage plots for assigned events, and present scope of work to stage crew. • Supervise activities on the day of the event, to insure that house rules and contracts are complied with and that activities will meet schedule and cost parameters. • Serve as stage manager for events when necessary, addressing lighting, sound, schedule, budgets and staging concerns. • Act as liaison between stage crew and producers and generally perform as a clearing house for production problems which may arise on day of event. • Order rental equipment for assigned events as needed. Schedule deliveries from local vendors of outside equipment for load in and stage set ups. • Input all stage notes and schedule information for reports into the Artifax scheduling system. Extensive Stage Management and Production Management experience, working with world class artists, union staff and producers required. •Excellent computer skills including Microsoft Word, Excel, and PowerPoint. • Ability to juggle multiple tasks in calm, efficient manner. • Flexibility in schedule necessary. Ability to work well under pressure. • Evenings and weekends required. To apply to this role, please send a cover letter and resume to: humanresources@carnegiehall.org . We are an equal opportunity employer. People of color, women, veterans and individuals with disabilities are encouraged to apply. Job Categories: Arts and Culture. Job Types: Full-Time. Job Tags: management, manager, music, production, recruitment, and stage. States: New York.